Here’s What You Missed at the 2019 iHeartRadio Music AwardsCardi B and Taylor Swift call out their haters. Taylor Swift Is Sorry for Her Girl SquadAnd admits “drama” broke them apart. Of Course Cazzie David and Taylor Swift Are Friends NowIt was only a matter of time. Taylor Swift’s Reputation Tour Movie Will Arrive on Netflix New Year’s EveBrace for snakes! 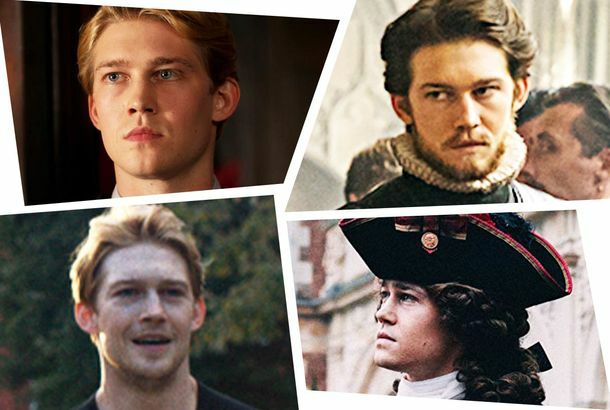 Which Joe Alwyn Is Right for You This Fall?After years of not appearing in much, Alwyn has come down with a serious case of Jessica Chastain’s Disease. Taylor Swift Leaves Big Machine for ‘History-Making’ Record DealWith one big stipulation. Donald Trump Likes Taylor Swift’s Music ‘25% Less’ After Her Political StatementHe’s sure Swift “doesn’t know anything” about the candidate she’s opposing. That Time Aretha Franklin Defined ‘Shade’ With Four Words About Taylor SwiftLet’s spotlight one of her other skills. In the Write: The Evolution of Country Music in NashvilleNashville’s new generation of country artists are more involved in crafting their own songs. Some of the most distinct perspectives belong to women. I Would Give My Left Arm to Be a Fly on the Wall at the Kloss-Kushner WeddingTaylor Swift. Ivanka Trump. Donald Trump? Taylor Swift Spent a Low-Key Fourth of July With Joe Alwyn, RIP Her PartiesSeems the era of extravagant July Fourth parties is over. Taylor Swift Is Here to Ruin Your Life in Sugarland’s ‘Babe’ Music VideoThe song was initially written for Swift’s 2012 album Red, and you can really tell. Languid Stalker Breaks Into Taylor Swift’s Home to NapIn her bed, no less. Cardi B Doubled Taylor Swift’s Apple Streaming Record, Okurrr!Invasion of Privacy is a hit. Taylor Swift Resurfaces in Public, Wants to Shoot and Discuss WhiskeyIt was a fun night in Nashville. Watch Taylor Swift’s Stripped-down Music Video for ‘Delicate’She’s a woman of the woods now. Taylor Swift’s Reputation Is Only Album to Sell 2 Million Copies in Last 2 YearsThe last album to reach 2 million copies sold in America was Adele’s 25 in 2015. Taylor Swift Now Welcomes Your DisgustIf you don’t like what you see, you’re not really a fan. Taylor Swift’s ‘Delicate’ Music Video: Fame Is Hard. Dancing Is Easy.Being rendered invisible by a magic letter of some kind really makes you contemplate your stardom. Dashboard Confessional Still BelongsChris Carrabba takes stock of his emo legacy, weighs in on the Brand New allegations, and defends Taylor Swift. Taylor Swift Strikes All the Right Notes in Her ‘End Game’ VideoIt turns out you can graduate from “girl next door” to “mega-millionaire woman celebrity” and still be likable. Taylor Swift Unveils Her ‘End Game’ in New Music VideoShe buries hatchets, but she keeps maps of where she puts them.